Water independence and source reliability is a very pressing issue that many communities are facing today. One of the many solutions that is being adopted today is to build desalination plants to turn sea water into drinkable water. However, building these plants and the process that is desalination can be very expensive. An average desalination plant can cost up to a billion dollars. A new technology that could ensure cheaper desalination would be Advanced Water Recovery. -Uses chemicals to turn salt water into drinking water and then, through proprietary process, filters the chemicals back out. -A demonstration plant is currently being built in Pennsylvania, cleaning the water used in the fracking process. Organizational stakeholders that would need this technology would be American states that are looking to become water independent, such as California that is currently looking to build a second desalination plant, that would cost the state millions. The upcoming plant has caused a debate over the real need for such expensive technology for water production. To deploy the technology, the firm would list and present the advantages this technology has over traditional desalination plants (safer for marine life, cheaper), to the state government and officials who would authorize this technology to be widely used. Once their demonstration plant is complete, these officials will be able to see and experience first hand what they could be enjoying in their own state. 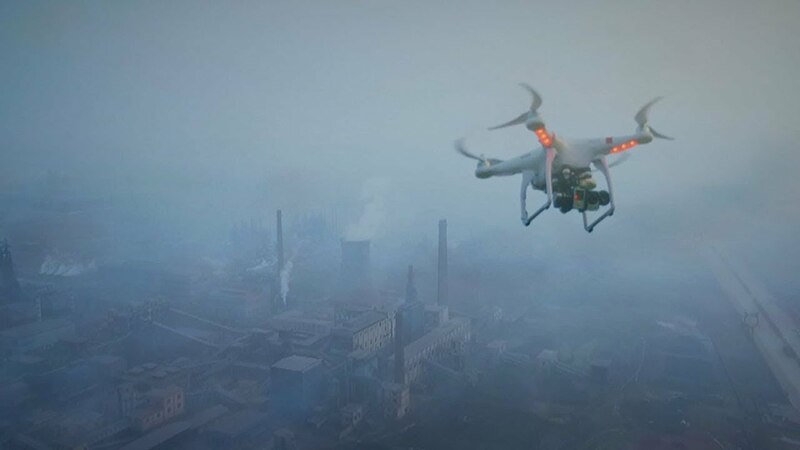 Can air pollution be controlled by drones? 1) Air pollution is referred to any contamination of the indoor or outdoor environment that modifies the characteristics of the atmosphere. Although more research is required to further understand the role poor air quality and multi-pollutant exposure plays in health. According to the World Health Organization (WHO) in 2012, an estimated 6.5 million deaths were associated with indoor and outdoor air pollution together, this r4epresents 11.6% of all global deaths. Major sources of air pollution vary from country to country and in every city, depending on their infrastructure and industrial activities, but in general, common sources include motor vehicles, household combustion devices and waste burning, coal-fired power plants, and industrial activities. The most relevant issue in this problem is that once the pollution has been produced it is very difficult to clean because of dispersion, and while reducing the pollution production is a relatively simple solution ( through filters and catalytic combustion, etc) once the pollution is diffused in the environment, it becomes a very complex problem to solve, mainly because of the dimension of it. In other words, it is impossible to clean all the air in the atmosphere. 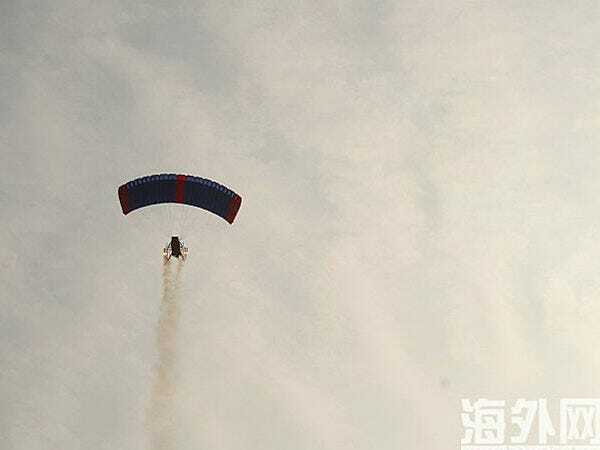 2)Nonetheless, China is investing a large quantity of money to fix this difficult problem, and many innovative solutions are being implemented, such as air purifiers the size of buildings, or mist cannons that nebulizer liquids to trap harmful particles, but still, these solutions face the great challenge of diluted pollution and large dimensions. A novel solution that is being tried is the smog-busting drones, the idea is to use drones to spray chemicals [liquid nitrogen], to solidify pollutants in the air and fall to the ground. Nonetheless, there is a big international opposition to this approach of geoengineering, mainly because of two postures, exposed by Emily Carino, from the University of Texas. And the second is the risk of the unintended consequences of such chemical reaction, not only because the reaction occurs so quickly, but also because nitrogen outperforms all other agents during the reaction. 3) This technology is mainly to be deployed by the government since air pollution or air quality is a public good. 4) The steps to deploy this technology are to run a pilot and have an important and solid baseline to compare the improvements as well as the unintended consequences. Nonetheless, I am very skeptical about the impact of this technology application due to the unintended consequences, and most importantly it is important to point out the irrational thinking of creating rain from pollutants, instead of deploying filters and air pollution control systems in the industry and combustion vehicles. The apparel industry is one of the most unsustainable in the world, requiring heavy use of raw materials (water, land,etc.) and chemicals (dyes, coatings, finishes) , while also generating excessive waste because clothes are not made to be recycled. The production of polyester, a fabric made from petroleum/plastic, has increased almost sixfold from 1980 to 2007, and is incredibly carbon intensive. Bolt Threads, a startup out of the University of California San Francisco, studied spiders to understand how they produce webs, and has essentially used bio-mimicry to develop a newer, more sustainable way of producing fabric. Comment on: World’s First 100% Compostable Water Bottle, Cap, & Label | This is a good innovation that can help the situation we are in. The bottle technology has been around for a little while, the but company needed to develop the cap, as that was a roadblock for many industrial composters to start accepting the item. As a frequent composter, I would like to know more about how the company expects to differentiate these bottles from others that are green – i.e Sprite, as to not confuse those who are not careful about where they put their trash. Additionally, would be great to understand the ideal compost conditions for the 85 day compost time. If we start to get more and more ‘plastics’ and less organics in the compost, will that increase? Solution: This Remote Controlled Beach Lifeguard is designed to assist beach lifeguards in their task of beach and water surveillance. It was positioned on a patrol tower and stands higher than the beach crowd to get a clear overview of the area. When employed, it flies overhead for ground patrol and serves as co-rescue equipment when swimmers, surfers, and other water sports participants are in danger. This charging patrol tower can also be installed on the back of the lifeguard’s pick-up truck. It can recharge itself at the patrol tower, as well as by solar power. When hazard happens, the lifeguard and the remote-controlled assistant will make their way to the victim’s location, and the assistant serves as a surfboard. The lifeguard can control the board to pull the victim back to the coast.